This is a sponsored post from Libby’s. I received products as compensation. As our little ones are growing, it is important that they get all the nutrients needed to be healthy. Sometimes, that is a challenge. It is hard to get my toddler to eat healthily. I am always trying to find new and fun ways to get him to eat right. Registered dietitian Deanna Segrave-Daly has created some Building Blocks to healthy eating. See her ideas here. I personally like getting my child involved in the kitchen. He likes helping and checking on the food while it cooks. Libby’s has added convenience to healthy food. Everyone knows about the individual fruit cups that we all enjoy. Did you know they now have individual vegetable cups? They are so handy! They work great for our family since we all don’t like the same vegetables. We can each get a portion of our favorite vegetables without someone pushing around food they don’t care for. Since Summer is now upon us. I thought I would try a new way of getting our vegetable servings. 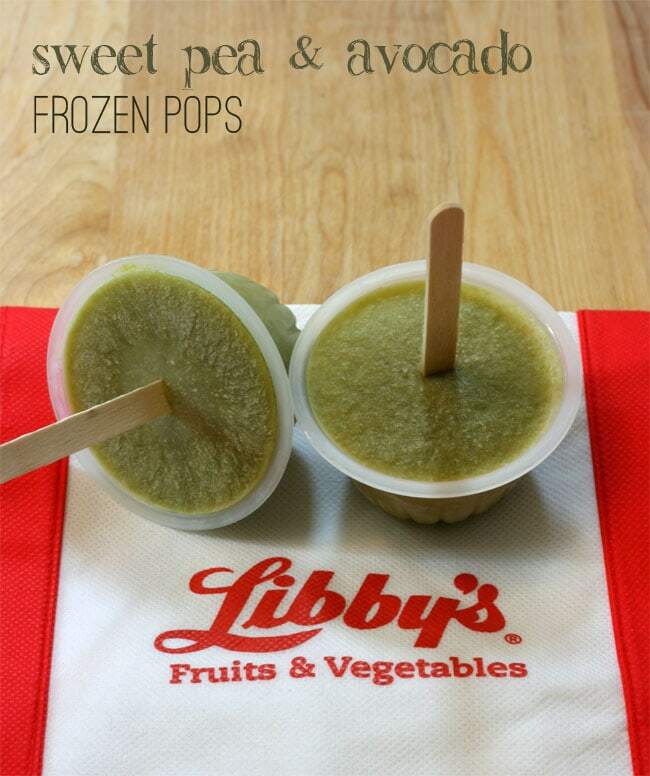 Libby’s has a great recipe for Sweet Pea and Avocado Frozen Pops. Want some more ideas? 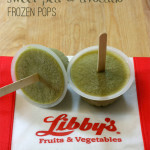 Check out Libby’s Recipe Box. Puree all the ingredients together using a blender or food processor. Once everything is pureed, pour mixture into the cups and paper cups. Freeze for about an hour or so, insert the Popsicle Sticks. What flavor combination would you like to try? OMG I love this idea! I’m pinning for use later. Thanks Devon! Oooh, this could be a great way to get my son to eat some vegetables! Interesting..! I am going to have to give this a try… My one son won’t eat anything green…but, maybe this will do the trick! This is for a must try thing for me this summer! Where were these when I was babysitting my nephews?? I will definitely need to share this! I really don’t know what to think of this – a veggie Popsicle?!!? That is pretty brilliant! These look good, I’ll have to try this recipe out! If my boyfriend, who is 23 going on 5, likes them it would be great, because he really doesn’t like to eat his veggies!